I had a lot of great feedback on last week’s post about the aircraft registrations of the big four airlines in the US. Now, we’re going to look at most of the rest. Below you’ll find a discussion about the regionals and low cost cost carriers flying around the country. The regionals in particular tell an interesting story about how airplanes move around between carriers. Little Air Wisconsin is something of an anomaly in this industry. It was left for dead by United only to find new life with US Airways. But it’s independent and only flies 50 seat jets these days. Its registration scheme? Pretty simple. ZW is the airline’s two letter code. Alaska may be a fairly big airline, but it hasn’t had any trouble using a uniform template for its airplanes. Its wholly-owned subsidiary Horizon (airline code QX) uses the same style, so I’ve combined them here. With no airplanes being bought new, I always figured Allegiant wouldn’t bother re-registering airplanes. I was wrong. The airline actually has a pretty good system with most new registrations ending in NV. I assume that stands for Nevada. If you’ve been delayed on a flight on a United Express Dash 8, then you’ve been flying CommutAir. All of its airplanes have come in second-hand but only those that came from outside the country were re-registered by Comair. There’s not a ton to say about Frontier. The airline is down to only two fleet types, so it’s pretty simple. The A318 used to be N8xxFR but those have been retired now. Hawaiian is also pretty straightforward. I’ve included the ‘Ohana by Hawaiian aircraft flown by Empire Airlines here. Those end in HC, which according to spokesperson Alison Croyle stands for Hawaiian Commuter. JetBlue looks pretty simple at first, but there’s an interesting little twist which I’ll talk about below. So what’s the twist? Well, if JetBlue leases out an airplane and then it comes back, they change the aircraft registration. According to Sebastian White, spokesperson for JetBlue, that’s why ships 507, 508, 526, 527, 531, and 537 end in either JT or JL. They ended in JB until they were leased out to Blue Wings in Europe. It changed when they came back. Mesa seems to be all over the map with its registration schemes. These days, it takes airplanes and gives them an NxxxLR registration which I think is for the airline’s founder Larry Risley. I assume the MJ stands for Mesa Jet and the FJ stands for Freedom Jet since Freedom was a former subsidiary that’s now gone. But you’ll notice the Embraer 175s use United’s registration scheme (the ## stands for random numbers). That’s because those airplanes are owned by United but given to Mesa to operate on the airline’s behalf. Republic has a lot of airplanes at three different subsidiaries. You can really trace the history behind some of these airplanes based on their registrations and on industry changes. You can also see that after the airline adopted the former Midwest Airlines YX code, it started changing its registration strategy. Chautauqua is not long for this world. It’s going to be merged into Shuttle America now that its partner airlines don’t need to keep some airplanes on separate certificates. Though many of the registrations end in SK, this doesn’t appear to be due to SkyWest. The best I can figure, this is because Skyways Aviation leased airplanes to Chautauqua. And I really don’t know where the JQ comes from. There are two outliers here, N974MP and N976RP. Those appear to be Embraer 145MP versions, so they’re just the black sheep of the family (the rest are LRs). Lastly we have Shuttle America. This airline has had nine lives, but now as a subsidiary of Republic that’s about to absorb Chautauqua, its long term prospects are solid. Silver is a newly-all Saab operator and it has two registrations. It picked up all its airplanes from Mesaba, which is now defunct. SkyWest is probably the hardest regional to decipher. It has taken so many airplanes from so many other operators without re-registering that it ends up being quite the motley assortment. Let’s see if I can make some sense of this. As if that’s not enough, there’s SkyWest’s under-performing subsidiary ExpressJet. (This is a combo of ExpressJet and the old Atlantic Southeast.) They’ve also picked up their share of airplanes from a variety of different places. The Embraers were all owned by Continental previously, so they follow the current United scheme with the ## being random numbers. Unlike Allegiant, Spirit takes new aircraft, so I figured it would have everything in a neat order. It does. I assume the A319s and A321s share the same ranges because the A319s will be phased out over time. You forgot about Sun Country, didn’t you? Trans States is one strange airline. I always figured it would get acquired by someone, but so far it has only grown. The namesake airline only operates 50 seaters, and they all end in HK. Why? The founder’s name is Hulas Kanodia. Talk about an ego trip. Trans States started GoJet once it needed a new operator for larger aircraft. These have more traditional registrations. When Delta acquired Compass as a subsidiary of Northwest, it wanted to get rid of it. Trans States stepped in and offered to buy the airline. I’m not sure how Compass ended up with CZ, but it was probably as close as the airline could get and still find a good range of numbers that it needed. I always thought Virgin America would be easy with only A319s and A320s, but according to spokesperson Abby Lunardini, there’s more to it than that. There you have it. 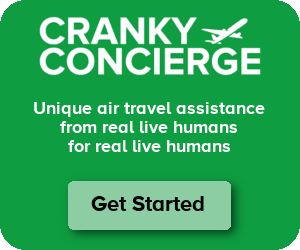 This isn’t an entirely comprehensive guide to all airlines in the US, but combined with last week’s post on the 4 biggest airlines in the US, this guide covers most US airlines you’re likely to fly. I have a somewhat fanciful question. Are specific registration codes reserved exclusively for the airlines that use them? For instance, If I hit the lottery and bought myself a jet, would I be permitted to choose a (unique) registration that ends in UA, AA, DL, etc? Or are those reserved only for the airlines using them? Also, at what point is a registration surrendered or revoked? Do the decommissioned jets sitting in the Arizona desert still carry their registration numbers until they are presumably dismantled someday? Or are they stripped of their identifications once they are parked? Bill – Steven answered the first part. For the second part, I believe you have to renew the registration every few years, so I assume if an airplane is broken up, it just expires at that time. But I would bet you could actively deregister too. Of course, I’m just assuming right now, so that’s not entirely helpful. Hopefully others know. Cranky, I found a mistake in the Shuttle America list. There is an airplane numbered N958WH that is jokingly (or not) named after the COO Wayne Heller. Nick – Oh nice catch there. For Chautauqua, I believe the SK is related to who financed the airplanes – which I think was Synovus (sp?) Capital. Do you know why JetBlue does the re-registering after lease end? Oliver – They said it just makes it easier to track the airplane pre and post lease. Editing my earlier post, it is Solitair Kapital. In July 1999, Chautauqua entered into an agreement with Solitair Corp., a wholly-owned subsidiary of Solitair Kapital AB. Solitair Kapital AB is controlled by Solitair Intressenter AB, a wholly-owned subsidiary of Wexford Solitair Corp. Wexford Solitair Corp. is an affiliate of WexAir LLC, our sole stockholder. Pursuant to the agreement as currently in effect, Chautauqua has agreed to purchase Embraer regional jets from Solitair which had contracts to purchase such jets from Embraer. Solitair is required to sell the firm aircraft to Chautauqua. As of the date hereof, we have purchased 14 aircraft from Solitair under this arrangement and third party lessors which lease the aircraft to us have purchased 38 aircraft from Solitair. Through December 31, 2001, the cost to us per aircraft was equal to the purchase price paid by Solitair, including Solitair’s expenses related to the purchase of the aircraft, plus up to $500,000. In addition to the seven aircraft we have purchased, we will purchase the remaining one aircraft on firm order at a cost per aircraft equal to the purchase price paid by Solitair, including Solitair’s expenses related to the purchase of the aircraft, plus $440,000. In those situations where we lease aircraft from a third party, we have included the amounts we pay that are over and above Solitair’s cost to acquire the aircraft in our leasing arrangement. With respect to each aircraft purchased by Chautauqua, Chautauqua has the option to enter into a short-term lease with Solitair for a maximum of 30 days commencing on the date Solitair acquires the aircraft and ending on the date Chautauqua purchases the aircraft. This monthly lease rate is equal to $136,000 per month. Bob – Oh interesting. Well, maybe it was this one. Either way, it seems to have been lessor. Another fun fact: most us registered Beech 1900Ds are registered with the three numbers of the registration corresponding to the construction number, i.e. UE-261 is N261GL. Great Lakes also uses this scheme for its EMB-120s. Interesting read, I would assume if a new type of aircraft would be ordered, the airline ordering it would have reserved a range of tail (id) numbers for the aircraft as they are delivered by the manufacturer. Thanks for all the information you give to us. I think there is a slight correction to the Skywest list. It appears that the former Horizon 700’s flying for Alaska under the Alaska/skywest color scheme seem to have been re registered as N2xxAG. The CRJ700s that retained the QX suffix seem to be flying under other brands. Greg/Nick – Whoops, yeah I had them as CRJ-900s by accident. I’ve fixed. The FAA Registry web site also lists former aircraft that were registered with the same number. Virgin Galactic lost its sub-space orbiter today. I bring this up to mention its tail number, which will likely be retired now: N339SS. The website linked to here has the photograph of this piece of wreckage. So sorry to hear of the loss of one person in this crash, RIP. Eastern Airlines is coming back after 23 years, using its classic livery! The first tail number will be N276EA.